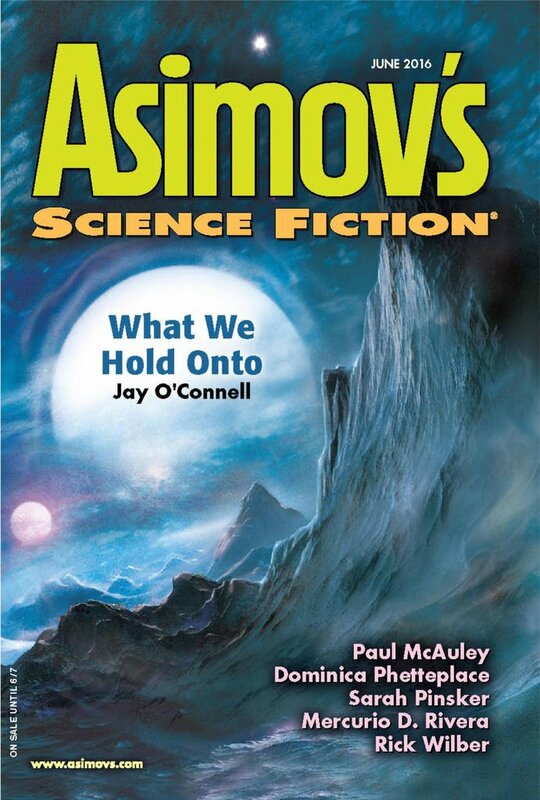 "Rats Dream Of The Future," by Paul McAuley [bio] (edited by Sheila Williams), appeared in Asimov's Science Fiction issue 06|16, published on April 29, 2016 by Penny Publications. Pro: The bit about the rat supermind finding a way to bend time so as to remain stimulated forever was cute. "RAT SCIENTIST RATS OUT OWN COMPANY" was pretty cute too. Con: There's almost no action in the story. Nearly all of it is told via narration. This was potentially quite interesting but the very remote narration made it difficult for me to get into.